Demonstrator, FSH, 2 Keys! Immaculate As Expected! Balance of 7 Year Warranty Transferred!! 2019 DEMO! ALL ROUND PARKING SENSORS WITH A REAR CAMERA, STUNNING UNIVERSAL WHITE!! HUGE SPEC CAR WITH A SAVING TO MATCH! Demonstrator, Immaculate as expected. Save £££'s Vs New. BOSE & Visibility Pack Extras! Warranty Until January 2022! THIS 7 SEATER GRAND SCENIC DOESNT GET ANY BETTER. FINISHED IN SKY BLUE. THIS CAR COMES WITH A HUGE SPEC. 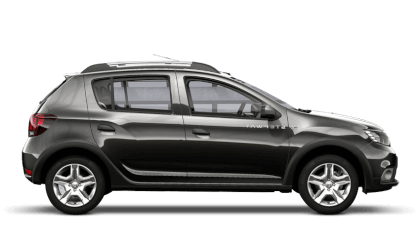 ** 2019 MODEL KADJAR DEMO ** FULL LEATHER, GLASS ROOF, APPLE CAR PLAY & SAT NAV. HIGH SPEC DEMONSTRATOR VEHICLE SO YOU SAVE £££!! Demonstrator, immaculate as expected!! All the trimmings Inc. heated leather, satnav and smart camera! Warranty until March 2026! Demonstrator, immaculate as expected, Fantastic DCT BOX! Giant Boot! Satnav, Climate, Bluetooth! Warranty until March '26! Demonstrator, immaculate as expected, save ££'s Vs. new! Memory Seats, Climate, Heated Leather, SatNav! Warranty until March '26! Kia Approved Car! Warranty returns to the start from purchase! Sat Nav w/Rear Camera, Panroof, Full Heated Leather! Smooth DCT! Only just come in, its the Brand New 2019 Renault Kadjar, only comes with us as the previous keeper, and manufacturers warranty! Latest shape, Heated leather seats, BOSE, Flame Red Metallic Paint - 19" Diamond Cut alloys and real premium feel!! Demonstrator, FSH, 2 Keys! Immaculate As Expected! Huge Boot, Climate, SatNav, Heated Memory Seats! Warranty Transferred!! Demonstrator, immaculate as expected, save ££'s Vs. new! Rare AWD '2' Spec! Sat Nav, Rear Camera, Climate, Bluetooth! Demonstrator, immaculate as expected, save ££'s Vs. new! Memory Seats, Climate, Heated Leather, SatNav! Warranty until Sept 2025! Drive away within 1 hour, 2 keys, Full touchscreen SatNav, DAB, Climate Control!! Fiat Approved Car, FSH, 2 Keys! Stunner and like new condition! Heated Bucket seats, Air Con, 170 BHP! Warranty until Nov 2020! Kia Approved Car! Warranty returns to the start from purchase! Sat Nav with Rear Camera!, Pan Roof, Full Heated Leather! Demonstrator! Loads of upgrades, 7'' Sat Nav with Car Play, Natural Leather & Alcantara Seats! Warranty until March 2022! Kia Approved Car! Warranty returns to the start from purchase! 7 Full Leather Seats, Climate, Sat Nav, Rear Camera, Bluetooth! Demonstrator, immaculate as expected, save ££'s Vs. new! Sat Nav, Climate, Keyless, Bluetooth, Stunning Colour Combo! Demonstarter!, Climate, SatNav, Rear Camera! 1 Owner, FSH, 2 Keys! Warranty Until Sept 2025! Brand New 2018 GT Line with Front sensors fitted. Sports seating, alloys, and bodykit. Save £££ compared to new!! Demonstrator, immaculate as expected, save ££'s Vs. new! Giant Boot! Satnav, Climate, Bluetooth! Warranty until September 2025! Demonstrator, immaculate as expected! Sat Nav, Rear Camera, Climate! Warranty until March 2026! GORGEOUS MINK DUSTER IN DIESEL WITH ALL ROUND CAMERAS, LOW MIELAGE AND MANY MORE FANTASTIC FEATURES! ** NEW 2019 MODEL VITARA DEMO ** ... SAT NAV, APPLE CAR PLAY & REAR CAMERA!! FSH, 2 KEYS & LOW MILEAGE! "I'd endorse Sutton Park Burton Renault & Dacia because they were very professional, they explained everything in great detail and promptly answered any questions that i had, I would certainly recommend and make future purchases from them"
"Sutton Park Warwick Renault & Dacia were fantastic because they kept me informed throughout the purchase and were extremely professional." "I'd recommend Sutton Park Burton Renault & Dacia because i was looked after and no hard sell"
"The experience at Sutton Park Warwick Renault & Dacia was fantastic because good response from sales who quickly understood my needs.....The paperwork was carried out with good explanation Completion was unhurried and the date of handover of the chosen..."
"I'd recommend Sutton Park Burton Renault & Dacia to anyone because of the professional and knowledgeable sales staff. Particularly impressed with Robert Hilton-West who made the sales process very easy for me and knew everything about the vehicle I wanted..."
"Sutton Park Warwick Renault & Dacia were fantastic because they listened to my needs and found the right deal for me." 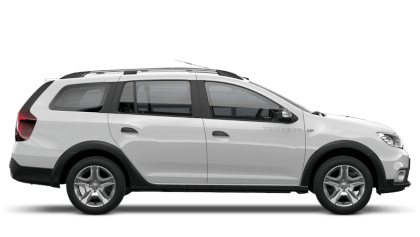 "The experience at Sutton Park Burton Renault & Dacia was fantastic because There was no pressure put on us to buy from our salesman Robert .He explained everything to us and was very polite." 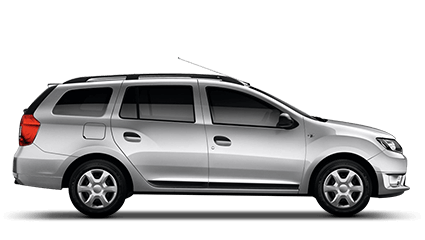 "I had a great experience at Sutton Park Warwick Renault & Dacia because Colin was very welcoming and friendly, however I didn't realise my car had 2 dents in the passenger door you can only see in some lights but that would of swayed my decision. 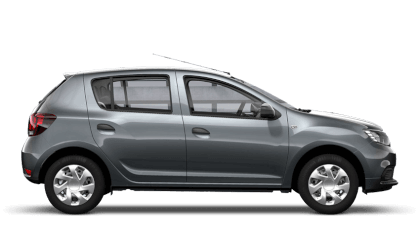 It was p..."
"I was happy with the service at Sutton Park Warwick Renault & Dacia because I was dreading the experience as it was the first time buying a used car on my own. My husband died in August & I needed to change to a smaller car. I felt at ease from the start..."
"I was happy with the service at Sutton Park Burton Renault & Dacia because we did have a few hiccups after purchase but all has been resolved now to our satisfaction "
"Sutton Park Warwick Renault & Dacia were great because they helped get the car I wanted, when I needed to buy a new car as my previous car had been written off in an accident." 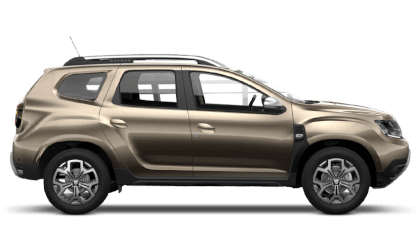 "I'd recommend Sutton Park Warwick Renault & Dacia to a friend because of politeness of the staff and reassuring sales manager."